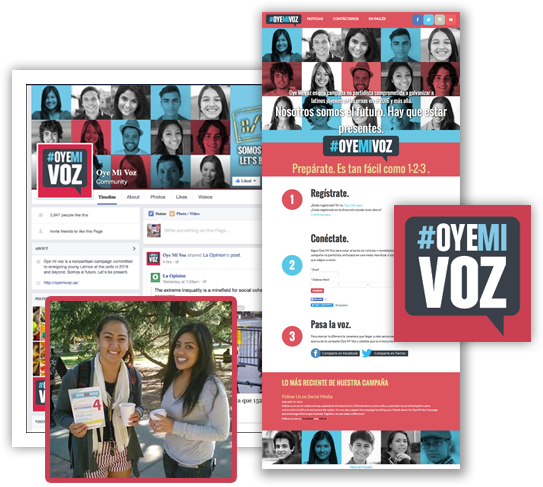 In 2014 some friends in the labor movement asked for our take on a long-term initiative of importance to California progressives: engaging and turning out young Latino voters. After pilots in limited media markets created strong results in 2014 we decided to take it statewide this year. From early research through election-day GOTV we built a program based on the media preferences and voting habits of our particular audience – and the communications mix we’ve developed is so far out it’s right there in your face. We knew right away this wasn’t going to be a stock mail and TV campaign. Ultimately, we’ve found success with a mobile-centric approach to digital video combined with outdoor, events and campus advertising – all bilingual with a strong social media integration. From targeted video to on-campus voter registration coffee giveaways, we used a nontraditional mix of media to a very traditional end: a high frequency of sustained communications with our turnout targets. The 2016 campaign is live and vibrant, on the web and Facebook. Communicating with a natively bilingual audience presents unique challenges and unique opportunities. But with voters who are less engaged with “traditional” media and more smart-phone centric than anyone else, advanced targeting and bilingual ad creative give Signified clients a big advantage. Sometimes we take an integrated, “Spanglish” approach, and sometimes we track creative according our targets’ device/browser language preferences. Guess which approach we took here? 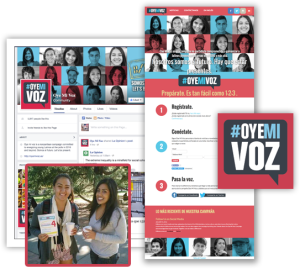 We’re happy to share the rest of the reel, or to chat at length about our work with young Latino voters – a group soon to be a necessary pillar for any winning coalition in California. Questions? Get in touch.